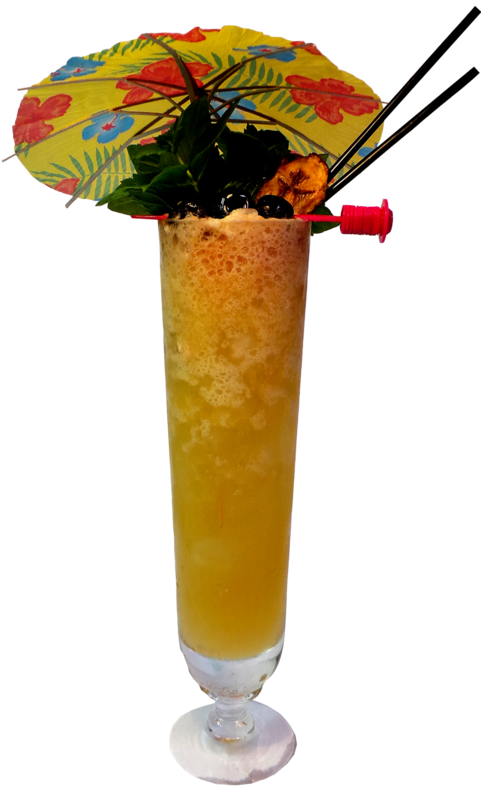 This is a cool Tiki drink… and there´s something very relaxing and rewarding in having a BIG rum barrel mug filled with goodness to sip..like a giant pacifier for grownups..
Its also very well suited for parties since it can easily be made in batches. Seems like the first recipe came from Port O` Call in Tucson Arizona cirka 1960s, invented by Dean Short who owned several Polyensian restaurants. I´m sitting here with my Beachbum´s Remixed checking out the three versions of the Rum Barell in it, one which is called the “Bum barrel” – love that! 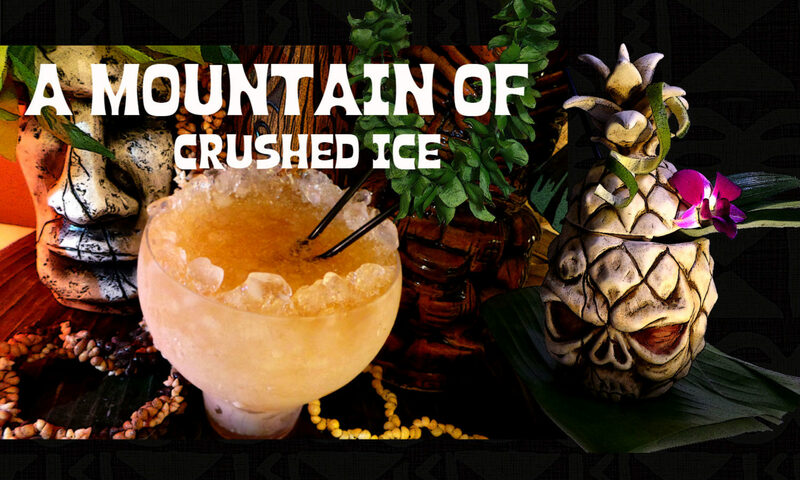 The Remixed tells me that most Polynesian restaurants had a version of the rum barrel..and it seems to be one of those drinks you can play a lot with, switching rums and stuff. 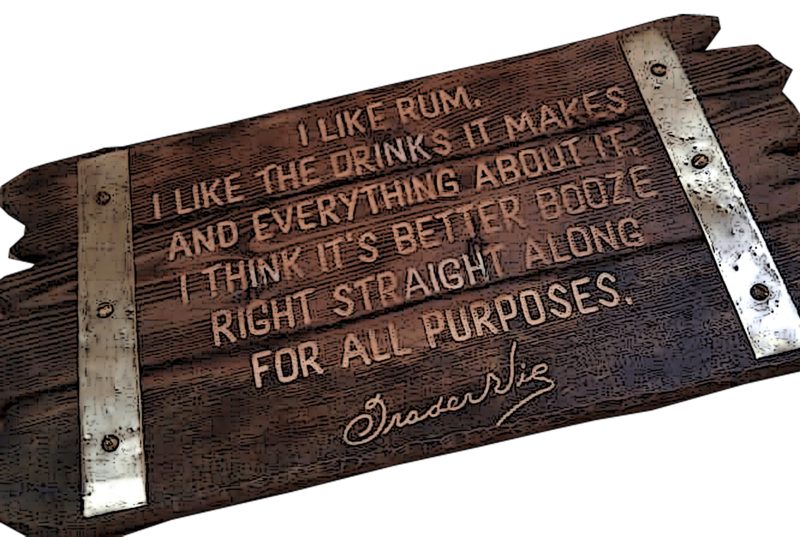 I decided to make my own version, just for the fun of it and since i`m on a constant demerara rum journey – its a Demerara Rum barrel. This Tiki drink isn`t for the fainthearted when it comes to the amount of ingredients, but these versions are quite alike and so once you got the basic ingredients its easy to make different versions of this tasty mega rummy Tiki drink. Or while you`re at it – make a giant punch bowl and bring in a few friends for a Rum barrel party. 1 oz amber 151-proof rum such as Cruzan, El Dorado or Bacardi. Shake with ice and pour unstrained into a barrel ceramic mug. This recipe differs from the one in Grog Log in that the Alize passionfruit liqueur is switched for passionfruit puree or juice and the 151 proof rum is upped to 1 oz instead of 0.75 oz. Put everything in a blender and blend at high speed for 5 seconds. Pour unstrained into a Rum barrel. Garnish with a spiral-cut orange peel. Add ice cubes to fill. Shake everything – except soda with plenty of ice cubes, then stir in soda. Pour into a double old fashioned glass or a Rum barrel mug. Shake everything with ice cubes thoroughly except the soda and pour unstrained into a Rum barrel mug and add more ice cubes. Garnish with fresh mint and pineapple skin. Make sure the pineapple skin only rests lightly on top of the ice or is speared so the drink may not become bitter. Yeah Passoa is ok and it`seven better with passionfruit juice! This is one of those drinks that to me feels so “homely”;-)and you can play with different rums and have fun! Rowen, i love the SC mug! i love the rum barrel! Thank you Martin, its put to good use here! Nice San Franciscan touch with that Smuggler’s Cove barrel there. The Grog Log Rum Barrel was I think the first drink I mixed up from that book. I never could find a straight Alize passionfruit liqueur, just different combination flavore, so I use Passoa in the Grog Log Rum Barrel. Passoa is very sweet so I cut the amount in half or else do like the Remixed updated does and use passionfruit juice of syrup. Previous PostPrevious BRING BACK LEMON HART 151!